A Complete Set of Production Tools. SELF CONTAINED NEWSROOM & STUDIO. You create a barrage of content that elevates your team as a journalistic resource and respects new media consumption habits. Distilling reporting into digestible bites for distribution via OTT while maintaining your branding, efficiently motivating shrinking teams, and maintaining a palatable workflow is essential for your growth. 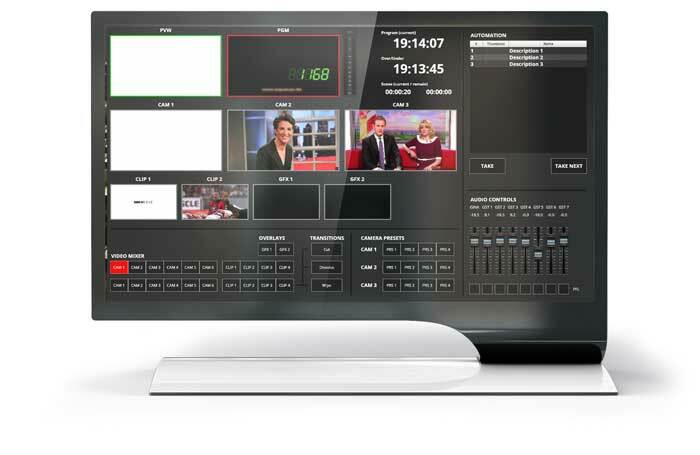 Vidigo News encompasses a complete newsroom workflow into a single workspace – integrating your templated graphics templates and familiar Lyric or PRIME graphics GUI, a 4-, 8-, or 12-input switcher, and audio mixer – all via a MOS-enabled, customized, easy-to-use, single-user GUI. 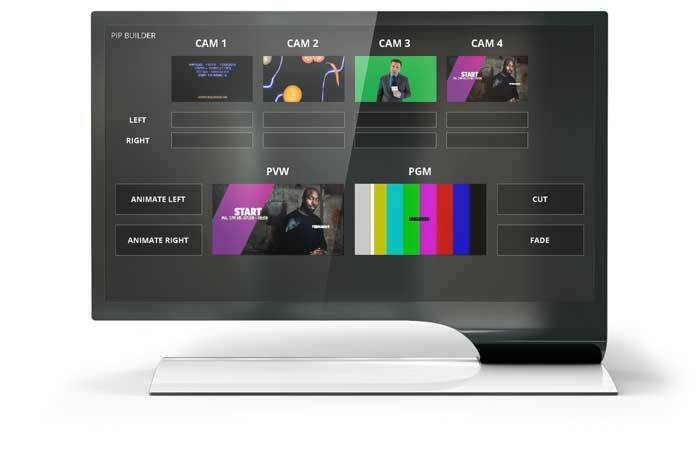 The producer-centric workflow of your CAMIO Universe bridge allows editorial to easily create stories in the same way they do for a linear newscast – using your familiar NRCS environment. The inclusion of Lyric or PRIME Graphics within Vidigo News ensures that the production of graphics is as seamless as it can be – with the same graphics resources and workflows benefiting both linear and OTT productions. This means your branding will be treated the same way, irrespective of the distribution platform. 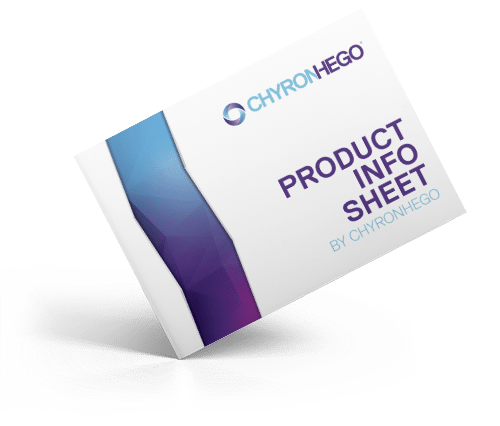 Vidigo News: A Complete Set of Production Tools. 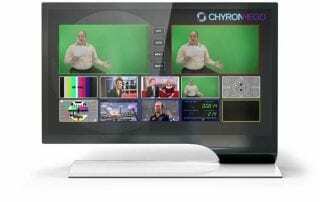 Vidigo News integrates ChyronHego graphics along with a customizable GUI, scalable switcher, and audio mixer – giving you everything you need to spin up another control room – fast. All in one box, all controllable remotely, or by a single-operator. Talks to your CAMIO Backbone. Vidigo News talks directly with your NRCS via your producer-driven CAMIO bridge for a consistent workflow. LyricX or PRIME Graphics Inside. 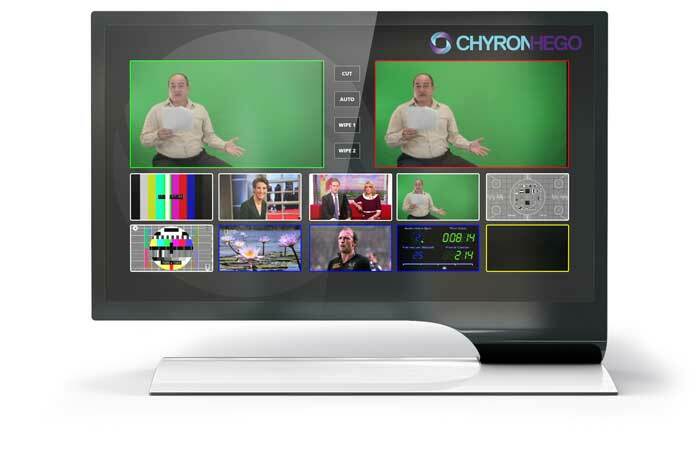 Up to two channels of our world-renowned Lyric or PRIME Graphics included with Vidigo News. This provides a familiar GUI for your operators for a fast, seamless workflow. Easily import your templated graphics for consistent branding across mediums. Importing your graphics templates into Vidigo News gives you the same creative power to augment your content and ensures that your content matches your channel branding, driving your audience to your other branded mediums. Simple, easy-to-operate GUI control panels provide the maximum operational flexibility for your operators. When you are tight on resources, rely on Vidigo News’ single-operator – or remote – control. For advanced users, create custom GUIs per operator, creating a faster, personalized production tool. With less dedicated hardware, your CAPEX expenses are lower. 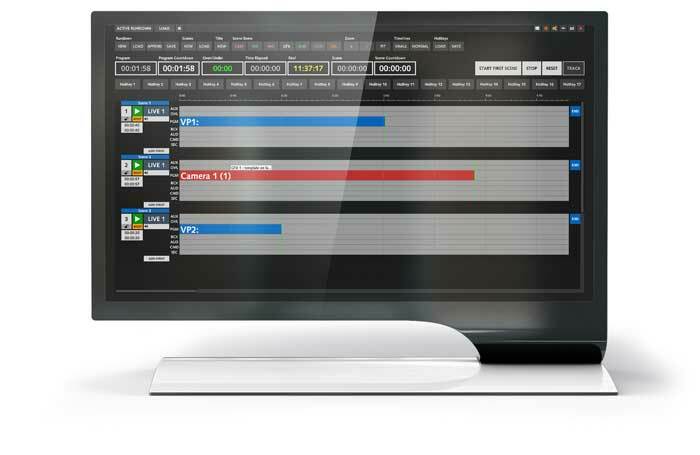 Using your existing Lyric template gallery, Vidigo News’ software-based production switcher, and single-operator control means you are producing content faster, with a smaller footprint and lower power consumption – accessing your current resources via your familiar CAMIO system. 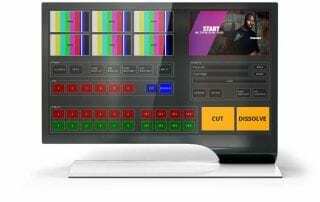 With a full technical suite of control panels, switching, audio mixing, a multi-viewer with program and preview, expandable 4, 8, or 12 inputs, our LyricX graphics package, and your CAMIO backbone, Vidigo news provides a complete studio from a single work surface. Control Vidigo News via a Chrome web browser with low latency commands for fast turnaround; one operator can control several Vidigo News solutions. Expansion at your own pace. With a switcher scalable to 4, 8, or 12 inputs, your content creation can be as trim or complex as you need. 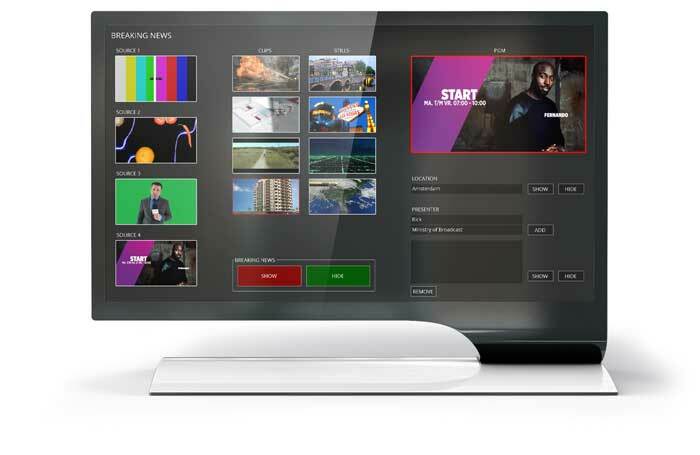 Optimized for live OTT production, Vidigo News incorporates a complete newsroom workflow into a easy-to-use, single-user workspace. Single-box solution with 4, 8, or 12 inputs including audio mixing, clips, and graphics. 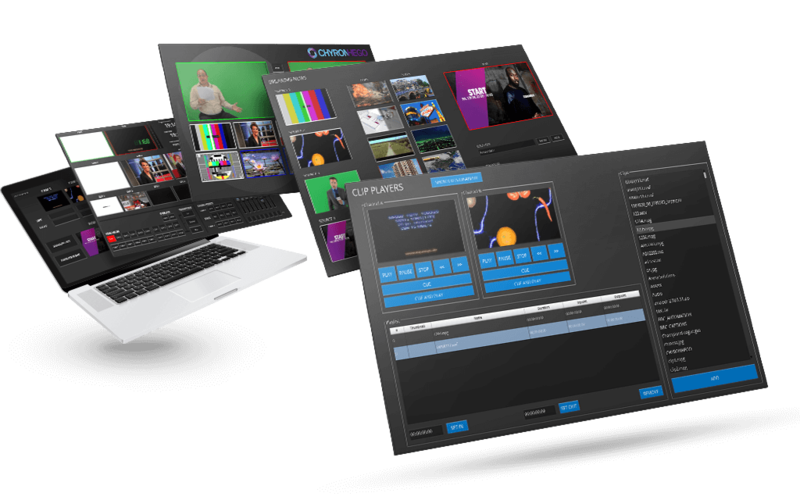 One or Two Lyric Channels; Lyric is the world’s leading graphics creation and playout solution: fast, easy, and intuitive. Automate Linear, Non-Linear, and Data-Driven Production. 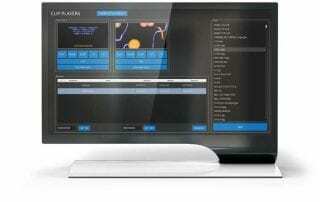 Control multiple systems with a scalable, unified, browser-based interface. 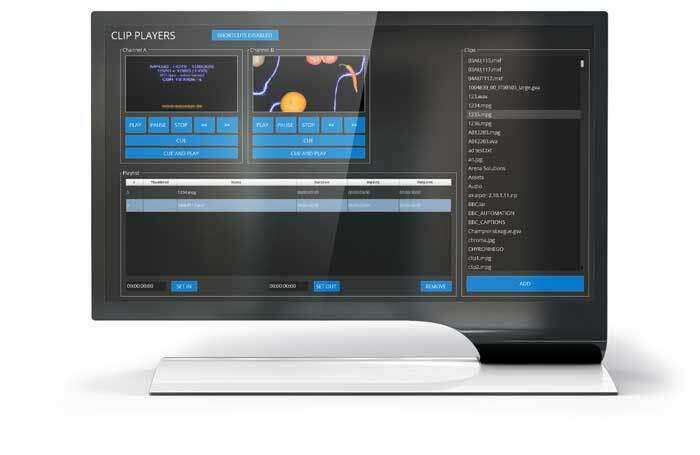 Producer-driven, template-based unified production solution. Fully-integrated all-in one studio, capable of single-operator or remote control.